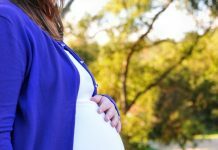 Whatever one’s personal beliefs about pain relief during the process of labor and delivery, it is important to have the facts beforehand about this particular facet of the delivery process. 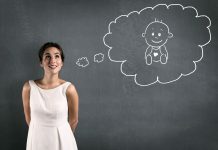 Even a woman who believes in and is committed to natural and unassisted delivery may change her mind through a long and difficult labor, so if she does change her mind at a later stage it helps to have known the options from before. Also every woman is different and so is every birth. Even one woman may have several different kinds of labor. While there are several kinds of pain relief available for a woman such as an epidural, narcotic assistance, IV shots, etc. Many women find squatting the most comfortable position to give birth in, others find that sitting on a chair facing the chair back is the most comfortable, and yet others find that leaning against a wall is helpful. In addition there is the TENS machine or transcutaneous electrical nerve stimulation which consists of electrodes attached to the birthing mother’s back, which is thought to stimulate the body’s natural painkiller mechanism and promote the production of endorphins. The woman herself controls the device and the strength of the current. There are no known side effects or effects on the baby. Entonox is another option, which uses equal parts oxygen and nitrous oxide to take the edge of the pain. A woman can inhale this through a mouthpiece and thereby control how much she uses. There are no effects and this does not pass to the baby however some women find that this gas and air mixture can make them lightheaded and does not let them concentrate on the task at hand. cheers for taking the time to discuss this, I feel strongly about it and adore learning far more on this subject. If possible, as you gain expertise, could you mind updating your weblog with a lot more information? as it really is incredibly valuable for me.